With so many roofing options available, it can be difficult to imagine what your home will look like until after the project is finished. This makes it very difficult to pick the right option to choose. If you choose wrong, you risk having to live with a roof you don’t like for a very long time. This is why we recommend using GAF’s Virtual Home Remodeler. What Is the Virtual Remodeler? 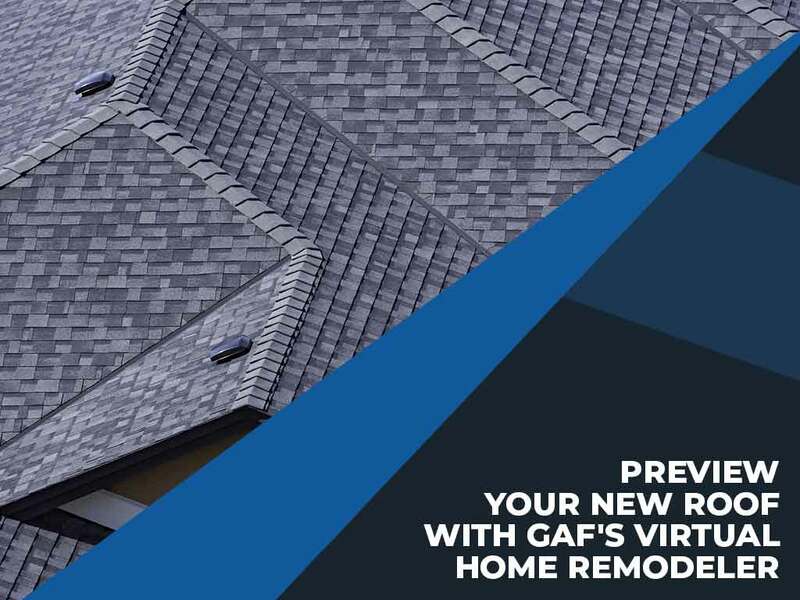 The Virtual Home Remodeler is GAF’s ingenious way to help homeowners get a more accurate representation of their preferred home improvement options. The remodeler uses pictures of your home (uploaded from your computer) or a series of stock home designs as a base image and, with careful addition of placeholders, adds a series of roofing layers that you can change. The Virtual Home Remodeler is designed to preview different kinds of roofing even on the most unique home dimensions. If scaled properly, images of your preferred roofing option will look as close to the real thing as possible once the project is finished. The remodeler will work whether you’re adding a new roof over your contemporary two-story home or you’re planning to retrofit your classic Tucson bungalow. You can’t get an accurate preview if you don’t have a lot of options. This is why GAF’s Virtual Home Remodeler provides previews of all popular roofing options recognized by the largest roofing manufacturers in the country. Shingle options are sorted by series and can be filtered according to their respective color groups. If you don’t think of yourself as a good color coordinator, GAF’s Virtual Home Remodeler can help you. Hand-picked designer choices and recommended color schemes can be found at the bottom of the screen. You can also use the “complementary matches” section of the screen to make further adjustments before calling our roofing contractors. Looking for qualified professionals to make your previewed roofing choices a reality? Signature Exteriors is the leading GAF accredited provider of roofing services in Norwalk, CT and Yonkers, NY. Contact us at (866) 244-8029 or fill out our contact form for a free quote.